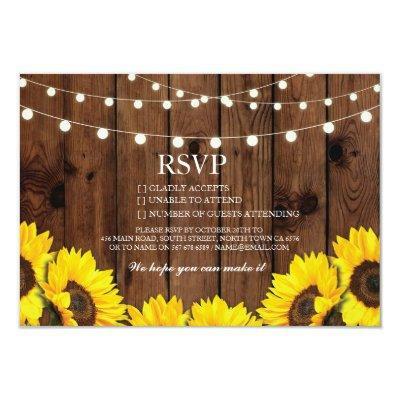 RSVP wood, with Sunflowers & string Lights, perfect to send with your invites to remind your guests to RSVP! Matching items in the Collection! Front and back included.